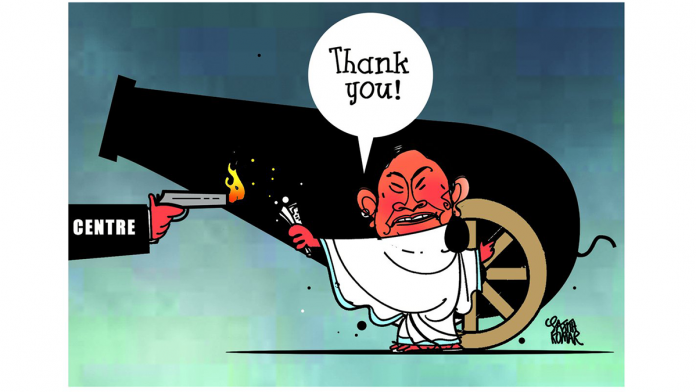 Chandan takes a jibe at Kolkata Police’s arrest of CBI officers who were investigating joint police commissioner Rajeev Kumar’s alleged involvement in the Saradha scam. 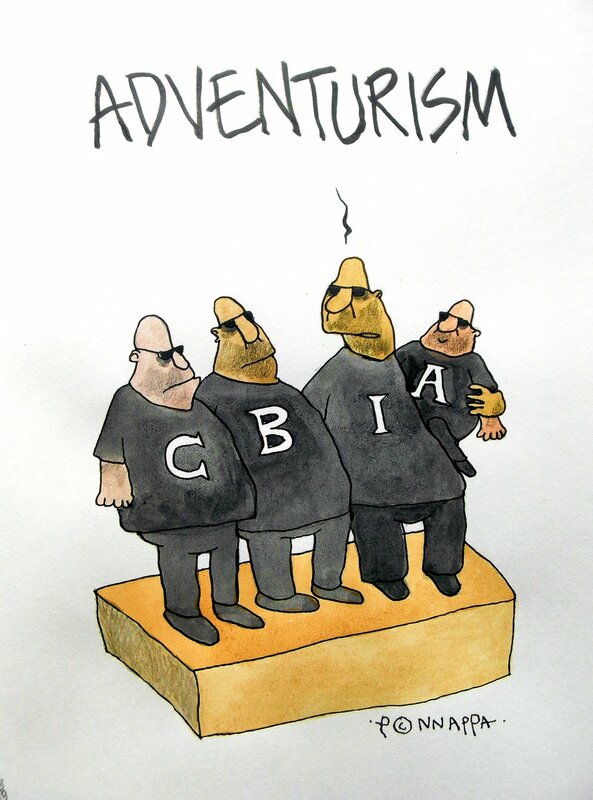 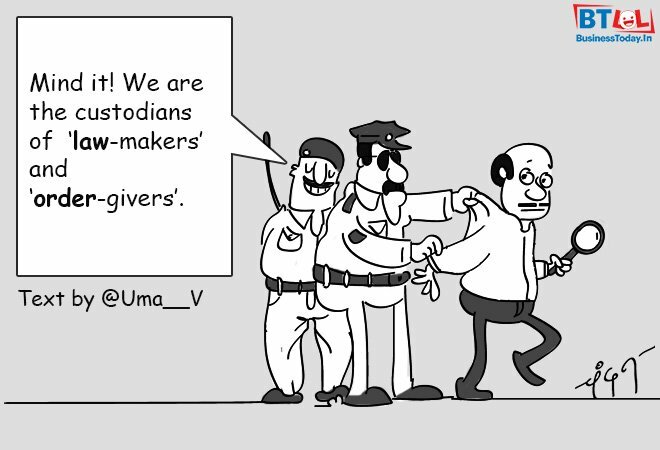 Nala Ponnappa weighs in on the investigative agency’s adventurist move in West Bengal. 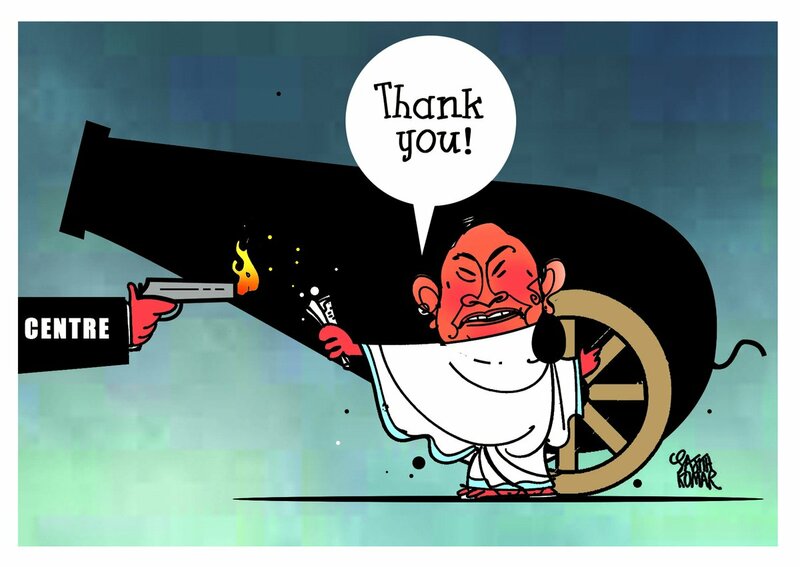 Sajith Kumar depicts Mamata Banerjee taking a shot at the Centre as she lights up a cannon with the same fire that was sparked by the Modi government. 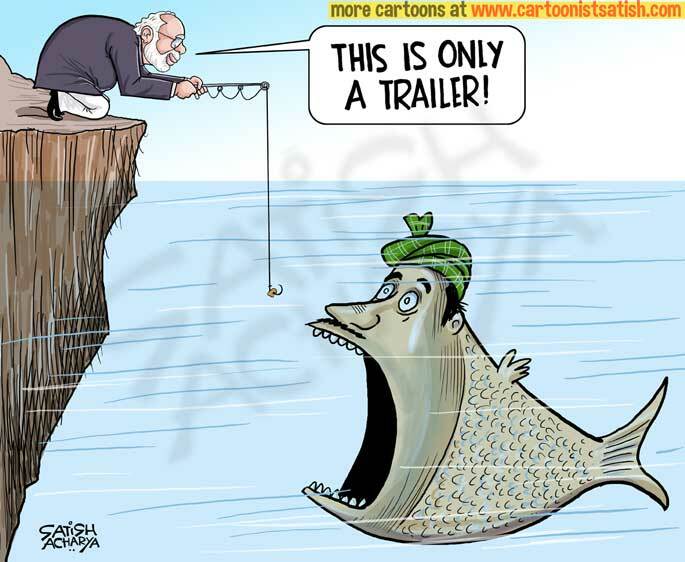 Satish Acharya suggests Modi government’s special focus on farmers with the annual Rs-6,000 income support scheme in the Union budget was just a bait. 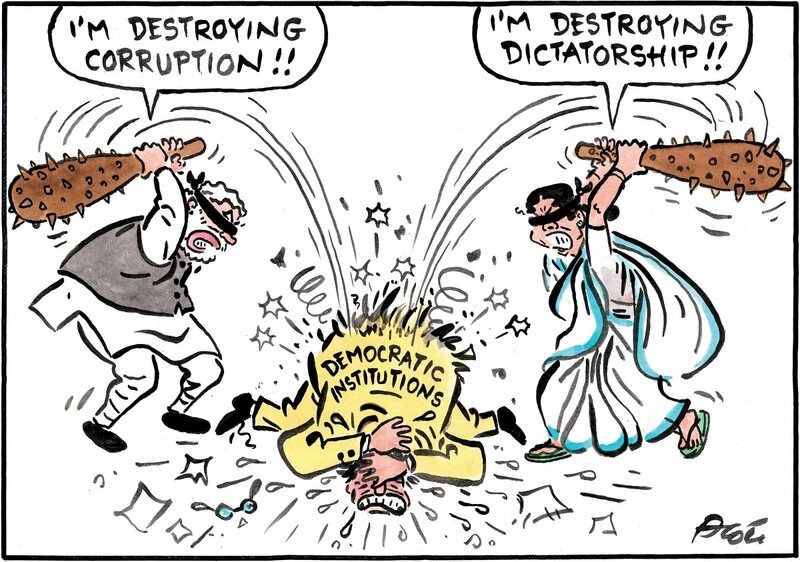 Alok illustrates an oblivious Prime Minister Narendra Modi and West Bengal chief Mamata Banerjee destroying democratic institutions in their bid to eradicate ‘corruption’ and ‘dictatorship’. 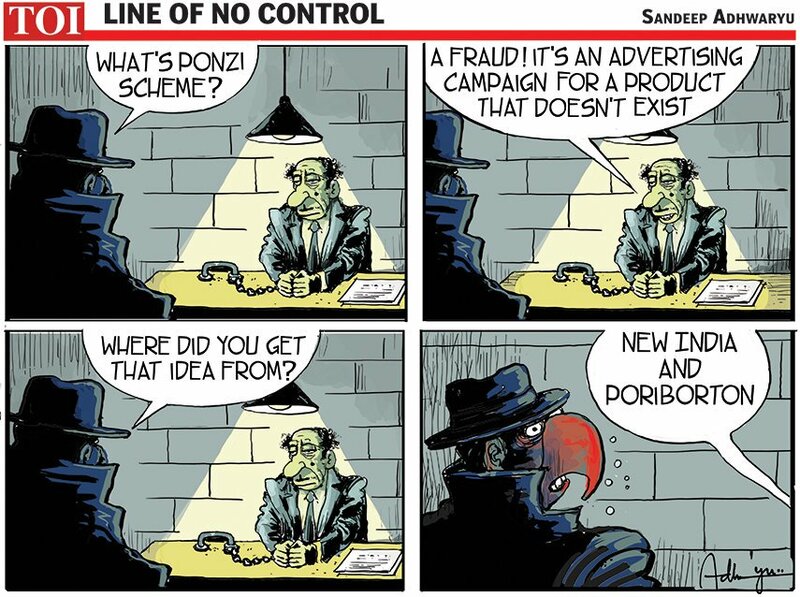 In view of the CBI fiasco in Kolkata, Sandeep Adhwaryu highlights the actual ‘ponzi schemes’ that are the promises made by PM Modi and West Bengal CM Mamata Banerjee.